So, I'm completely broke. No, I'm serious. This is how bad it is: I went to grab a new razor from my linen closet to shave my legs yesterday (haven't had time to do that in over a week), realized I didn't have one and pouted for the rest of the day because I knew I wouldn't have the funds to buy new ones until this Thursday. Told you it was serious. All of my income (and I do mean all of it) is going towards this wedding. I'm starting to get a little nervous about this unprecedented level of brokeitude because there are still 456345674574677457 wedding gifts to purchase. I had an argument with my lovely coworker about who, exactly, gets gifts from us at our rehearsal dinner. She said, we should just give gifts to our bridal party, which I know is the traditional thing to do; however, we have had a TON of help paying for our Big Day from several of our family members...and I would like to thank them all with a gift as well. What's your opinion on this issue, people? I'm really conflicted about what to do in this situation. It's important to both of us to give thanks to everyone who helped make this day happen by way of a special gift, but we're also really strapped for cash. Any suggestions about what to do? Is there a way to thank everyone without breaking the bank? With only 39 days to go, I'm honestly all out of ideas. I need yours. I don't think you need to get anyone who is helping out with paying for the wedding a gift right now. How about AFTER the big day you send them a little something in appreciation? I agree with Jennifer - I think you could definitely do something afterward for the people who helped pay. And there are ways to "cheapify" your wedding party gifts without losing the thoughtfulness. NO need for gifts - just ignore the "tradition" - seriously...it's ridiculous!! I can imagine how stressed you are, but gifts can come in many forms. Personally I know that when people ask how they can repay me I ask for babysitting time. 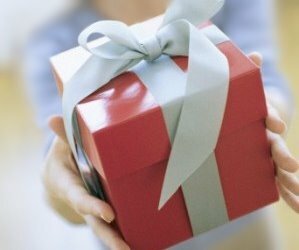 If you feel that you need to repay them with a gift maybe find creative ways to give your time instead of a gift. Maybe you could thank them by having a nice little party afterwards where you just bake some cupcakes and send out handwritten thank you notes with the inventations? I feel your no-new-razor pain...I've been using the same old rusty blades for like, weeks. It's not cool, man. Not cool. It's the gesture that counts. So no need to buy expensive gifts. You might as well make something from stuff you already have. Sometimes that's even more valuable because it adds personality to your gesture. There are tonns of cheap DIY on the internet that you could consider :) Good luck! Anyone who has helped you has done so because he or she loves you, not for reciprocation. Give many hugs and thanks now. Have them over for dinner after the dust settles. You're doing amazing stuff here mama. I like all these ideas - maybe just send a thank you note afterward with a photo from the wedding on it as a little keepsake? OR I've seen people do a candy/dessert table with little baggies as the gift OR you could make a donation to a charity/organization that means something to you and put a little note on each table that says you made a donation as your gift to everyone. Or forget it! You can make your own rules!